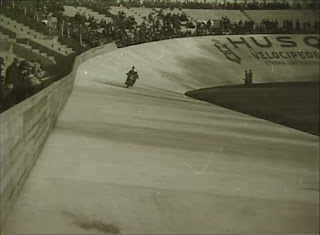 Long time ago when I wrote a post on my facination for the US boardtrack racing I came to mention we had one track for motorcycle racing with banked curves in Scandinavia too. 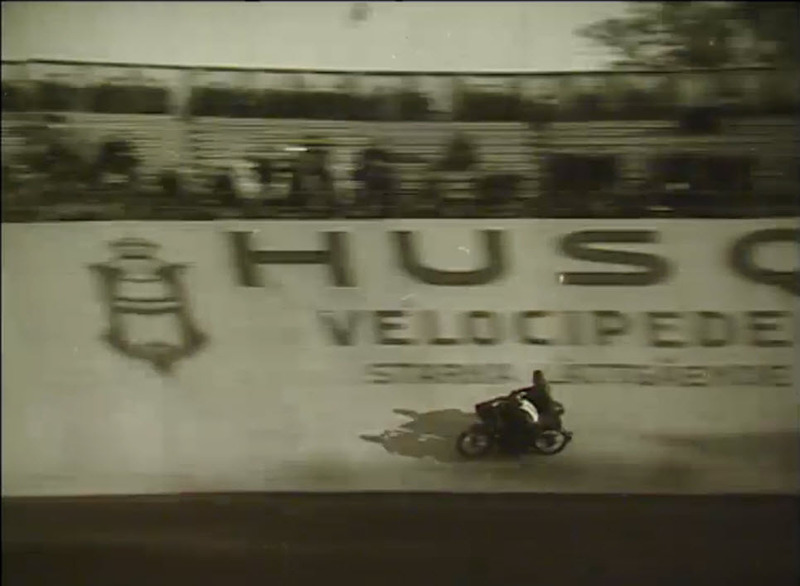 This was named "Hornsbergs velodromen".The Swedes Paul & Ruben Ljungberg built this concrete race track with a huge bank loan back in 1922-23. 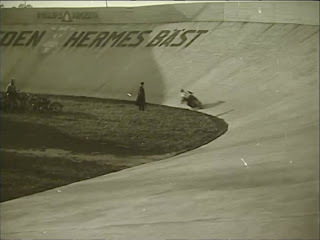 It was fisrt opened for the 1923 season and was really busy for a couple of years to come. 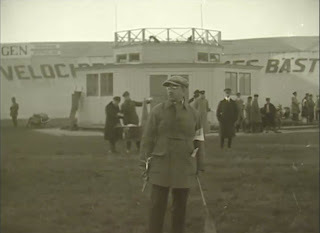 To provide additional income boxing matches where held inside the track when not used for racing. 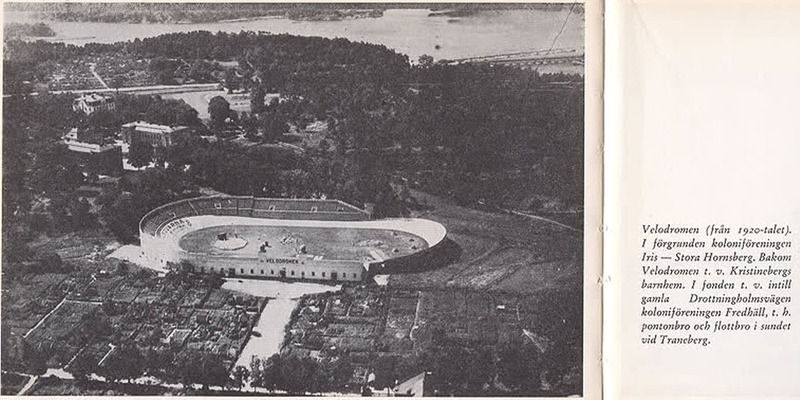 The track was located on a beautiful spot at the country side by Kungsholmen, this a part of the capitol Stockholm. 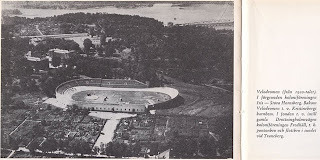 Next to the track where on one side a huge allotment for Stockholm citizens, on the other a huge victorian building where a children orphans home where housed. 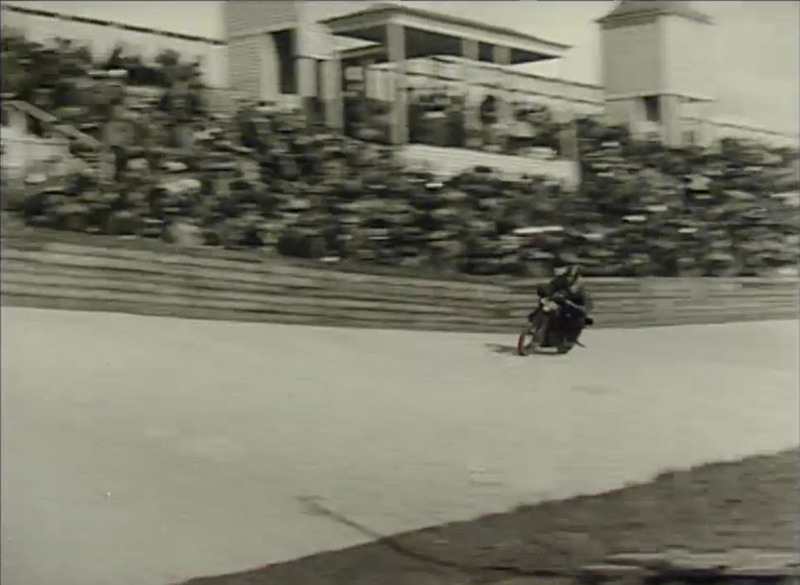 The track was used for bicycles and motorcycles, even a car was once tried but as the track was as short as 333 1/2 meters it became to narrow. 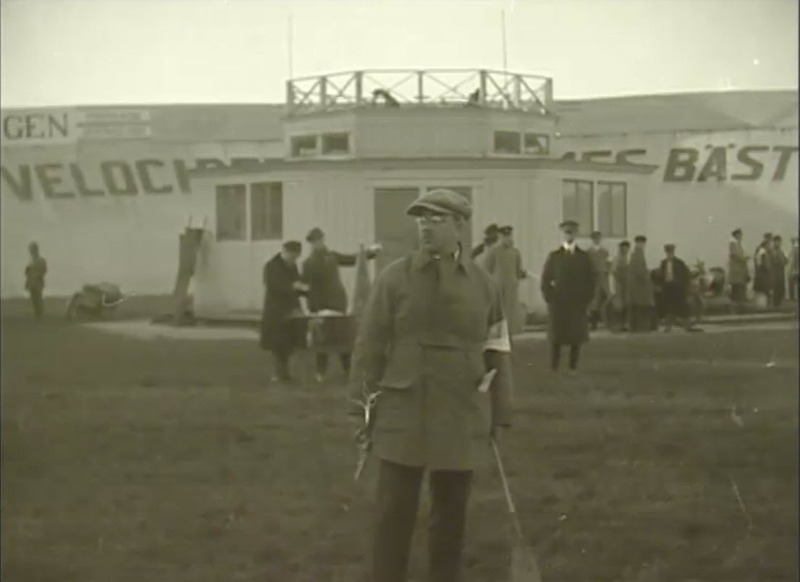 Luck didnt follow the Ljungberg brothers, the track didnt get approval for racing in 1927 and they soon faced bankruptcy. In 1931 this great innovative track was torn down in favour for an ordinary sports ground, sigh! 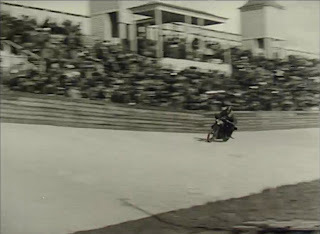 Imagine when Master Erik Westerberg, "Kjøttbullen" Liljekvist and invited race heroes from Norway, Denmark and Finland roared their bikes around the concrete wall. Wonder if Master Erik ever used his open port 8 valve two cam Harley here?? 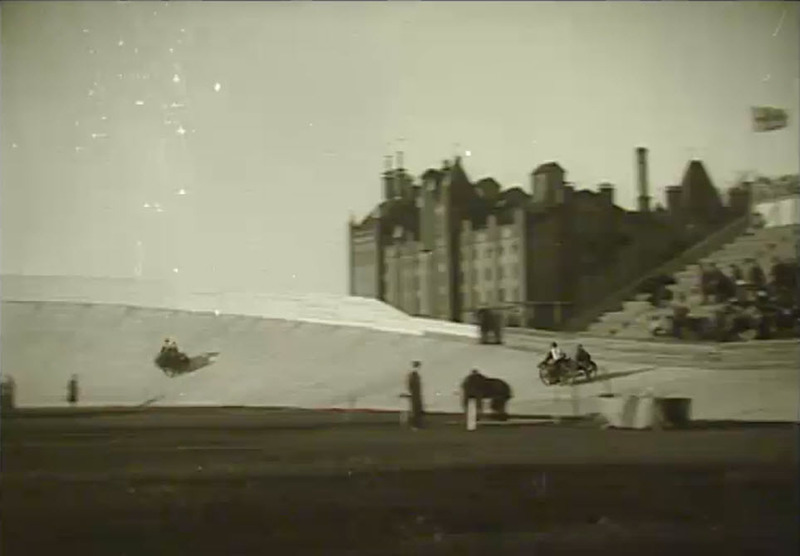 Some stills from the movie to give you an idea what this was all about.